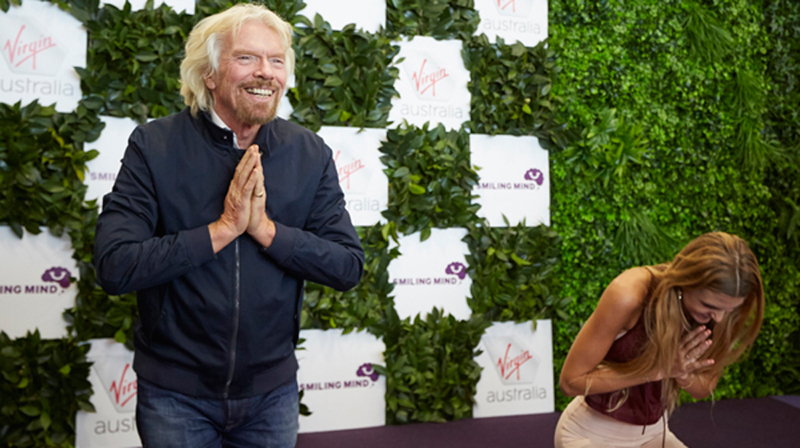 Virgin Australia today hosted the world’s first dedicated meditation flight with Sir Richard Branson, in partnership with Australian wellbeing and mindfulness meditation leader, Smiling Mind. service and hand massages from the smoothfm angels, before Smiling Mind led a guided meditation at 30,000-ft.
Virgin Founder Sir Richard Branson said: “Integrating mindfulness into our everyday lives is just as important as eating well and exercising regularly, and I am so excited to see Virgin Australia deeply embedding mindfulness into the workplace and onboard flights. there are very few of us who haven’t been directly or indirectly impacted by anxiety. 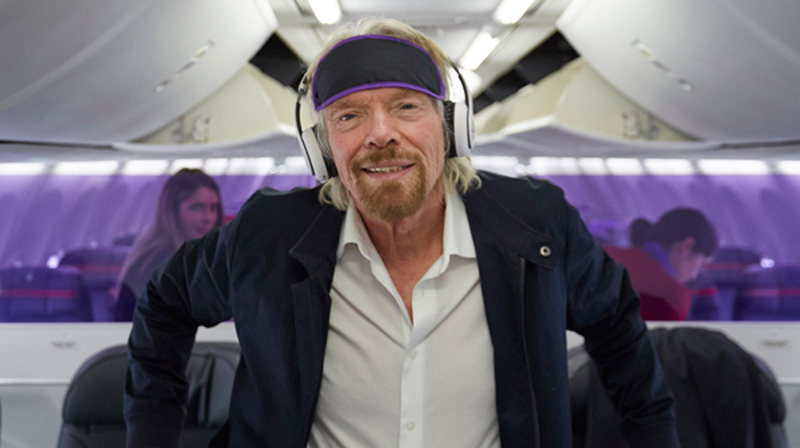 holding the world’s first dedicated meditation flight,” Sir Richard said. 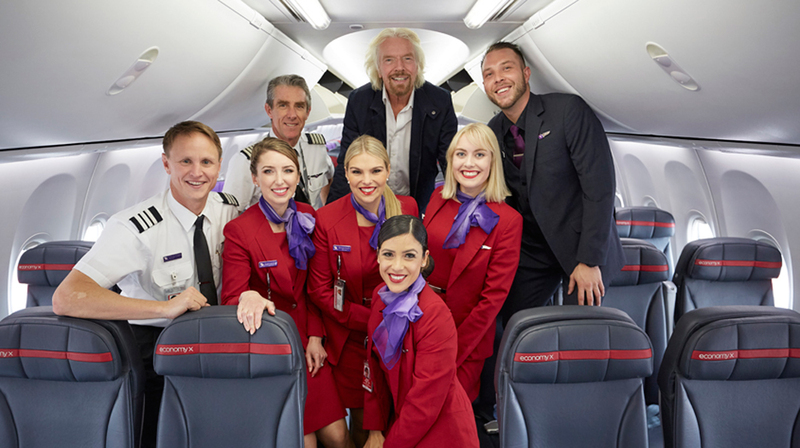 Today’s charter flight marks a new partnership between Virgin Australia and Smiling Mind, and will give all Virgin Australia guests access to Smiling Mind guided meditations via the Inflight Entertainment System, enabling the reduction of stress and anxiety during air travel. 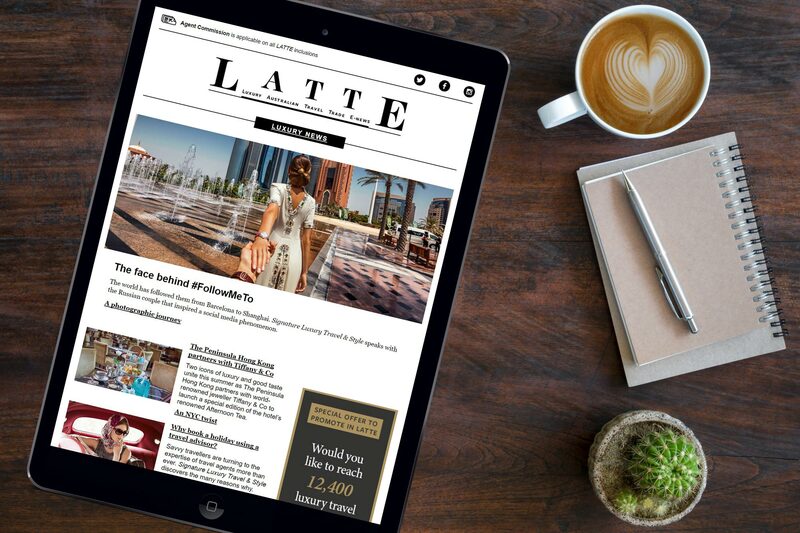 Smiling Mind is delighted to be able to provide travellers with access to our guided meditations while in-flight. “As little as a couple of minutes of meditation can improve our overall sense of calm and wellbeing during a flight. 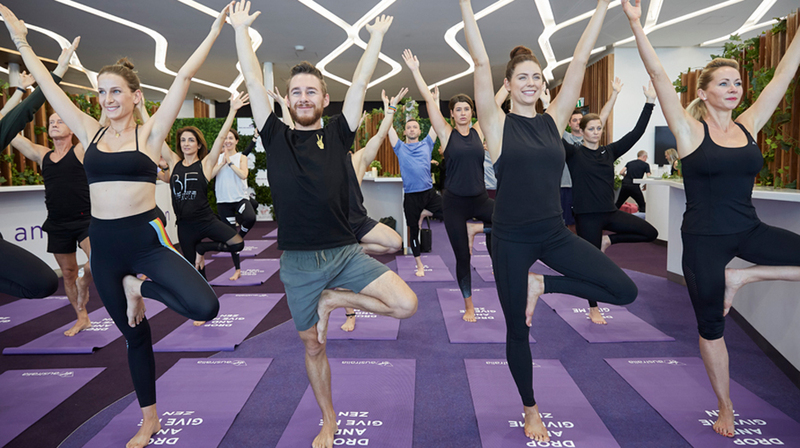 And what better time than in air to meditate; we would love to see every passenger use air travel to give their mind time to thrive,” Dr Wootten said.